third place overall at 14 seconds behind Yates. haul himself to within 15 seconds of the 29-year-old American, who appeared to be tiring in the final kilometers. But the road — in the shape of flatter gradients — came to King’s rescue, handing the American respite and a chance to recover before the final push for the finish. Yates, meanwhile, has pulled on the leader’s jersey at a second Grand Tour race for the second time this season. Last June, the Englishman wore the pink jersey at the Giro d’Italia and looked to be on his way to a career-defining victory before collapsing on stage 19, prompting an attack by Chris Froome that earned the Team Sky leader overall victory. 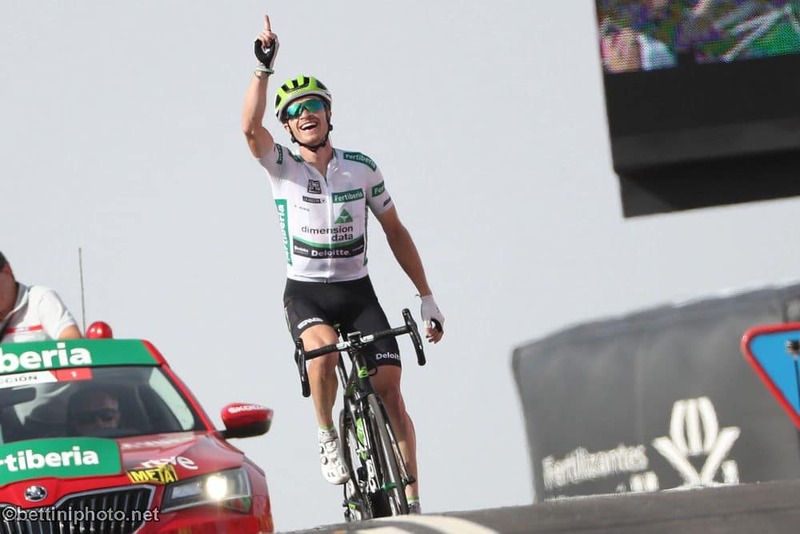 The Tour of Spain resumes Tuesday with a 10th stage held over 177 kilometers between Salamanca and Fermoselle that should be decided by the sprinters.